Do you want to change the color of your text in Photoshop? Choosing the right colors for your text can make a huge difference in your graphics. In this article, we will show you how to change the color of text in Photoshop. First thing you need to do is to open your image in Photoshop. I’m using a raw photo that I captured in Maskeliya, Sri Lanka. 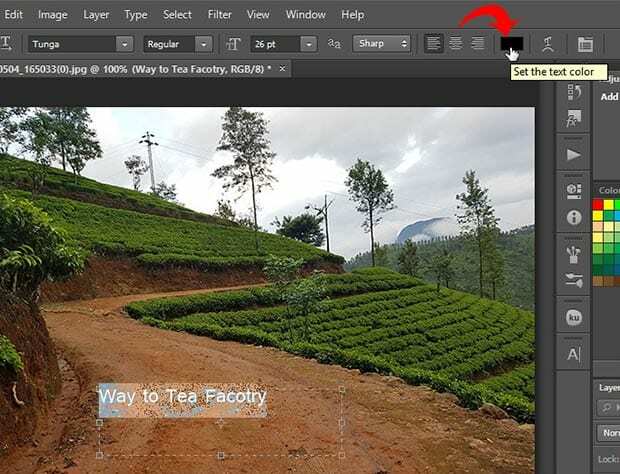 Simply choose the Horizontal Type Tool from the toolbar at the left side of your Photoshop screen. 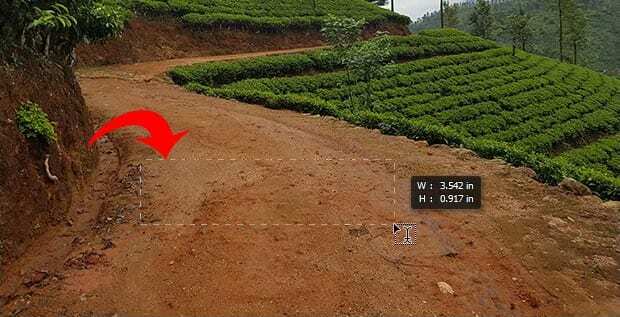 You should click on the image and drag the mouse to draw a text box where you want to add the text in your photo. Then, type your text. 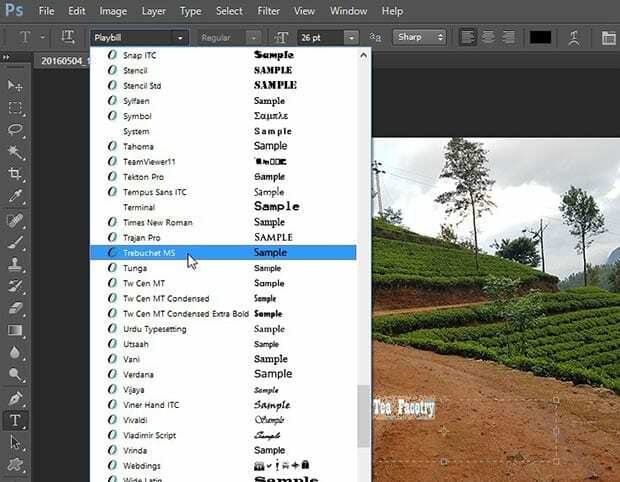 You will be allowed to change the font style and size from the Text Settings that appears just below the top menu in your Photoshop window. In order to change the font style and size, you’ll need to select your text inside the Text box. Then you can choose a different font from the dropdown menu. 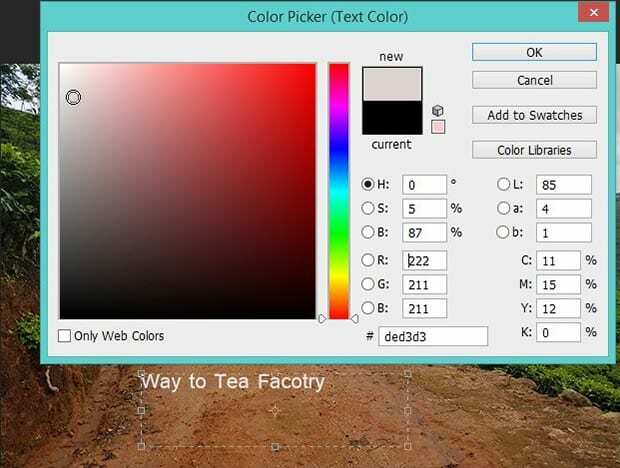 Now, you need to click on the color picker in the Text settings to change the color of the text. A window will pop up for you to pick the color. You can drag the circle on the color board to select the exact right color for your text. Once you have chosen the color, click on the OK button. 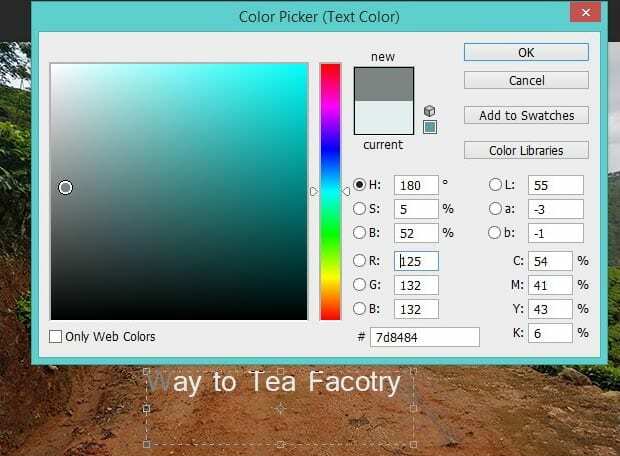 It will change the color of all the text in your selection. You can also change the color of individual characters. To change the color of a specific character, you’ll need to select that character and open the color picker again from the Text Settings. Go ahead and choose the color for the character and hit the OK button. We hope this article has helped you to learn how to change the color of text in Photoshop. You may also want to check out our guide on how to create a typography portrait in Photoshop.